Josh Grant battled hard with Ryan Villopoto. The ’90s nostalgia was in the air along with the smell of premix and race gas. 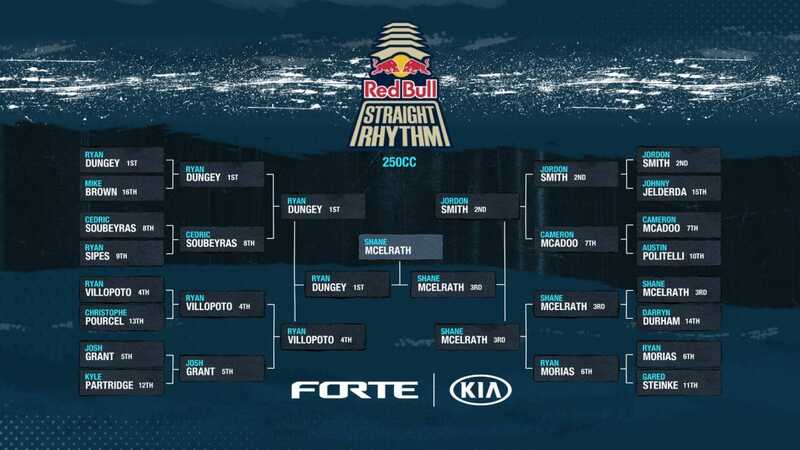 The fifth year of Red Bull Straight Rhythm was all about two-strokes and it made for some amazing head-to-head racing match ups. With veterans like Josh Grant, Ryan Dungey, and Ryan Villopoto taking on young guns like Shane McElrath and Jordan Smith in the 250. The 125 class had tons of talent as well on probably the most diverse machinery ever seen racing in a Supercross style event with bikes dating back to 2003. 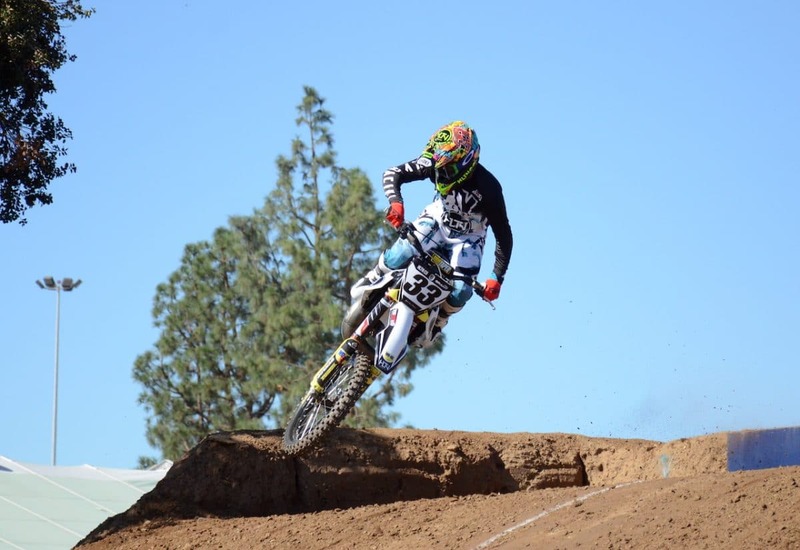 The final in the 125 class came down to Carson Brown on a 2018 Husqvarna TC125 and AJ Catanzaro of a 2004 Kawasaki KX125 tribute build to James Stewart. Now that sounds like a movie in the making. To see more on the bikes from this years event Click Here. Team TLD was out in force! The 250 class featured some of the best racing of the night, with showdowns like Villopoto versus Dungey and Grant against Kyle Partridge treating fans to some head-to-head heats that came down to a hundredth of a second. 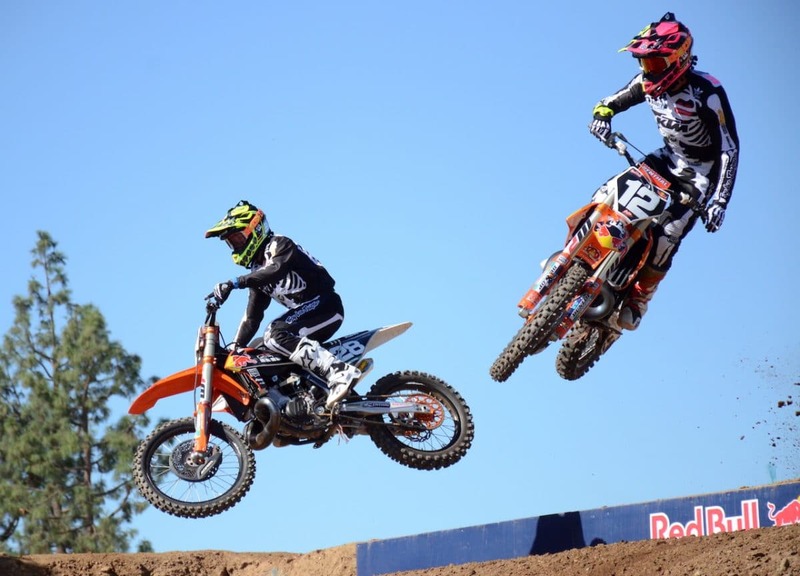 Dungey set a dominant pace late in the day’s qualifying period and looked to be poised to take home his first Straight Rhythm podium, but McElrath had other plans, cementing the overall victory in the third and final race of their match up. “Each run I got a little more comfortable and I really started to feel like myself at the end of the day and I thought to myself ‘I can do this again’” said McElrath shortly after stepping off a now-familiar location, the podium. Villopoto showed the speed that made him a multi-time champion with a smile on his face all day. 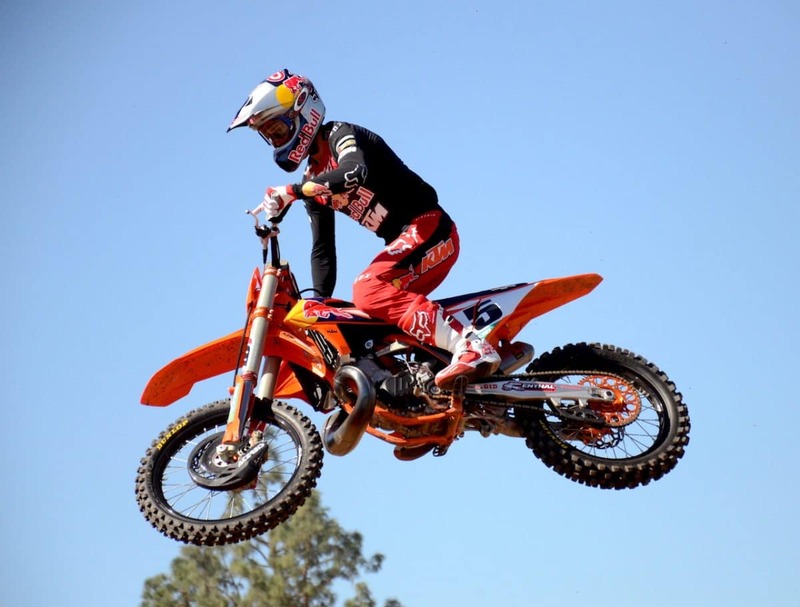 Off the couch looking like the Ryan Dungey we know and love! 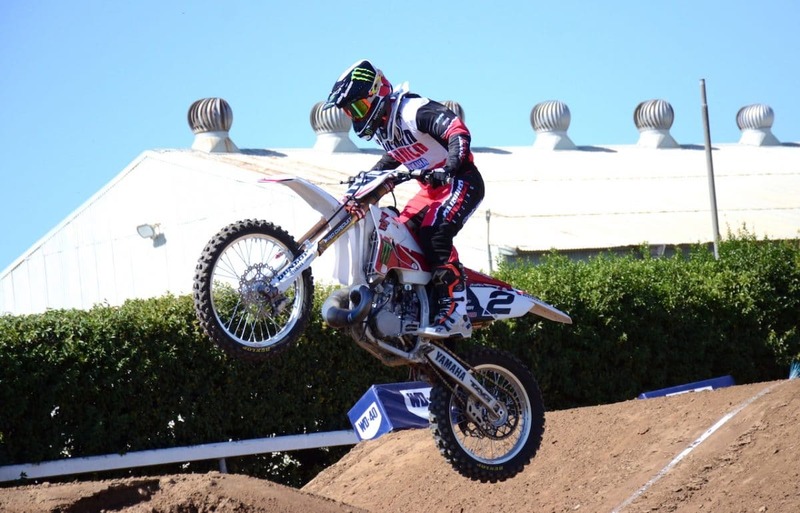 The 125 class’s riding evolved throughout the day as the riders attempted to utilize as much of the track, and their limited horsepower, as possible. 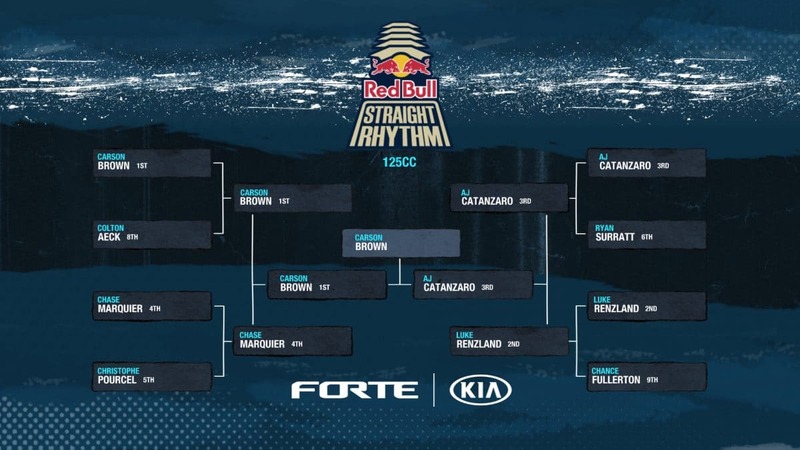 Carson Brown found some of the key jump combinations early in the day, turning a challenging series of doubles into a double-triple-triple combo that his competitors quickly adopted. 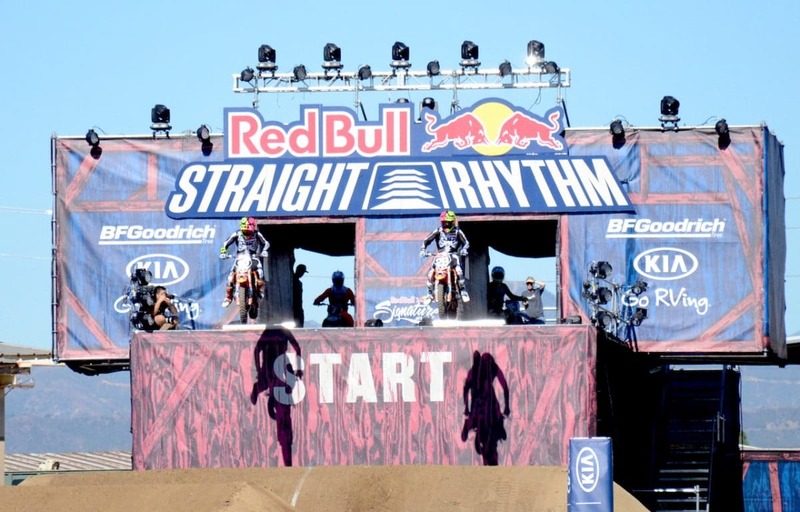 Want to see more Red Bull Straight Rhythm action? WATCH THE FULL EVENT BELOW!! !